Watch strap specialists like Hirsch, Morellato, Darlena, LBS and Condor can refresh and improve the look of a customer’s favourite timepiece while providing retailers with a perfect opportunity to get talking about life, loves and the next big purchase they want to make. The power of bracelets and straps to transform the look and feel of any wristwear from a classic boardroom piece into an evening fashion statement is only now starting to get traction, as WatchPro discovers in conversation with the country’s leading suppliers. Watchmakers have been slow to catch onto the way that changing a timepiece’s strap or bracelet can transform the way it looks and the image it projects. It has only been in recent years that brands the biggest prestige brands like Cartier and TAG Heuer and started making watches with easy-to-swap fastenings. Perhaps the watchmakers have been afraid of the transformative power of straps, fearing that it could dampen demand for whole new timepieces. 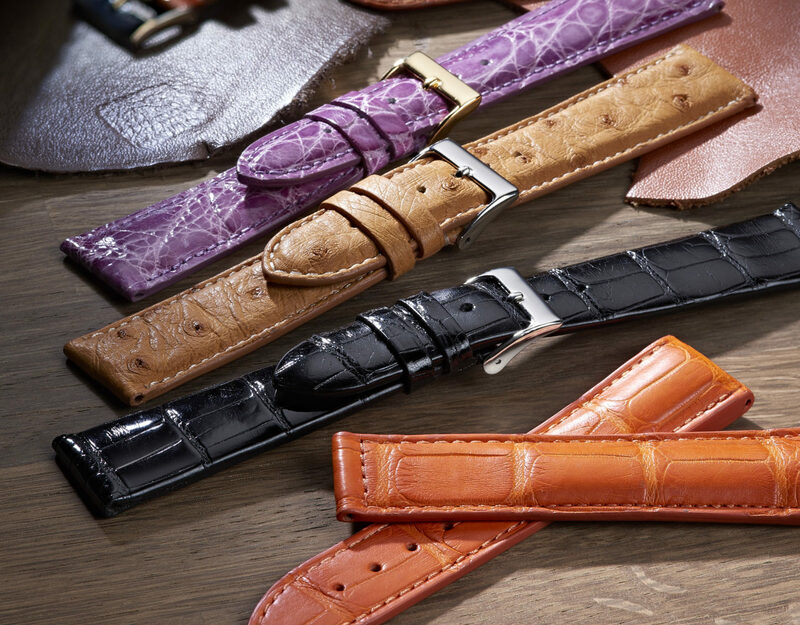 That is of no concern to a growing band of specialists in the watch strap field including Hirsch, LBS, Darlena and Condor, which are all helping retailers to delight their customers with the add-on sales that quality and stylish straps can bring. “Changing your watch strap can transform your watch into something that feels and looks completely different,” says Lewis Morris, brand development manager at LBS. 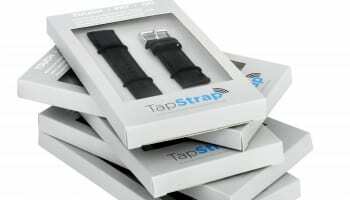 “Retailers know that watch strap replacement is a key part to their aftermarket sales, not only driving footfall to their stores but also a very profitable part of the business that hasn’t been hit by online sales as most people want the item fitted to their watch strap for them,” he adds. A sample of LBS watch straps. Younger customers, in particular the smartwatch generation, are especially hooked on changing the way their wristwear looks. “The smartwatch scene has been a big help for our industry as never before have watch straps been so easy to interchange. 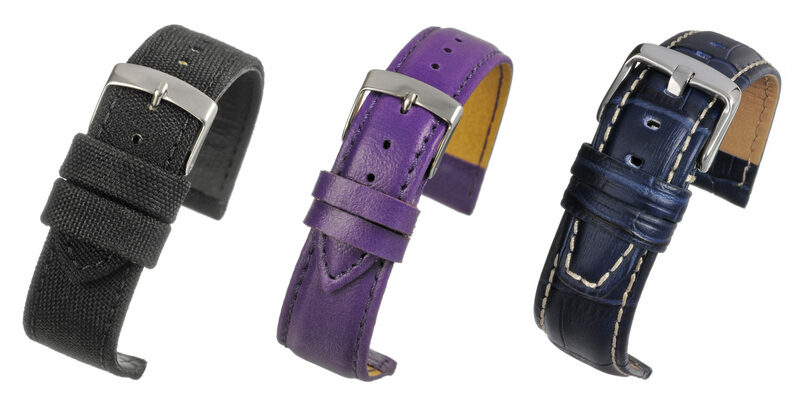 It’s becoming the norm to change a strap for a holiday, yearly season or even to match an outfit,” Mr Morris suggests. Tapping into that market — excuse the pun — is the TapStrap from LBS, which has a contactless payment chip embedded in the strap. “This amazing piece of tech transforms the classic, functional wristwatch into something far more modern, with no costly smartwatch purchase needed,” Mr Morris says. 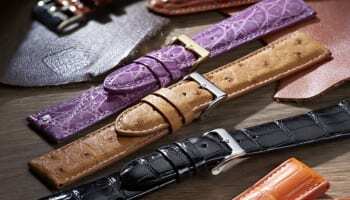 Narshi Bhoja, director at Royal London Watches, the distributor for Condor, points out that the classic replacement market is still the biggest sector for watch strap business, and is particularly important for prestige watch retailers. “Straps and bracelets are important to the market as they allow the watch wearer to be creative and personalise their watches. They are able to refresh their watches and keep what often has sentimental value for longer,” he explains. “We provide an extensive choice of beautiful designs that are affordable. 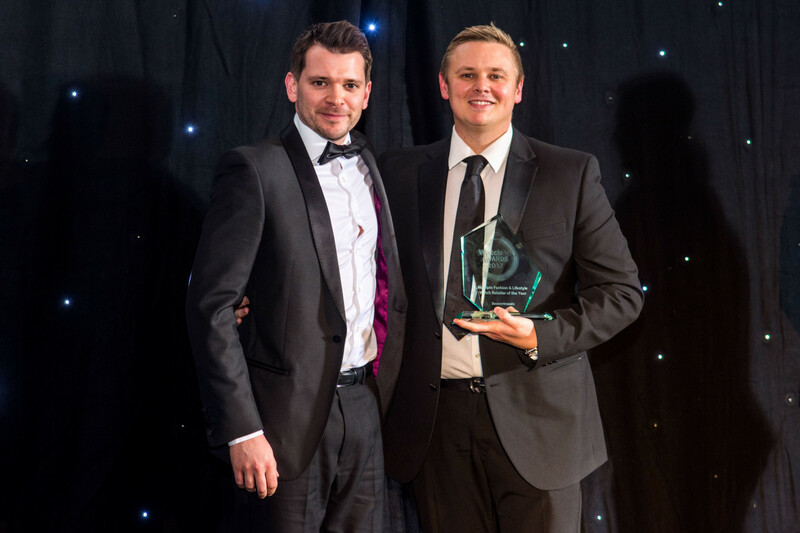 We’ve had great success with our straps in the last two years, branching out into new markets and remaining strong in the UK,” he says. Watch retailers typically focus on the functionality, design and history of the timepieces they present to customers. But, as Birgit Nicolelli-Fulgenzi-Laßnig, head of communications at Austrian watch strap leader Hirsch, the bracelet of strap is one of the most striking visual elements of every timepiece. “If you just consider the proportion of watch to bracelet in this combo, you will see that the bracelet has the bigger share and is therefore prominently visible. And then just imagine a usual purchasing situation. The very moment, when the jeweller hands over the watch of interest to the potential buyer, they will always touch the bracelet first and not the watch case. That is our moment of truth, which can be decisive for the purchase,” she describes. 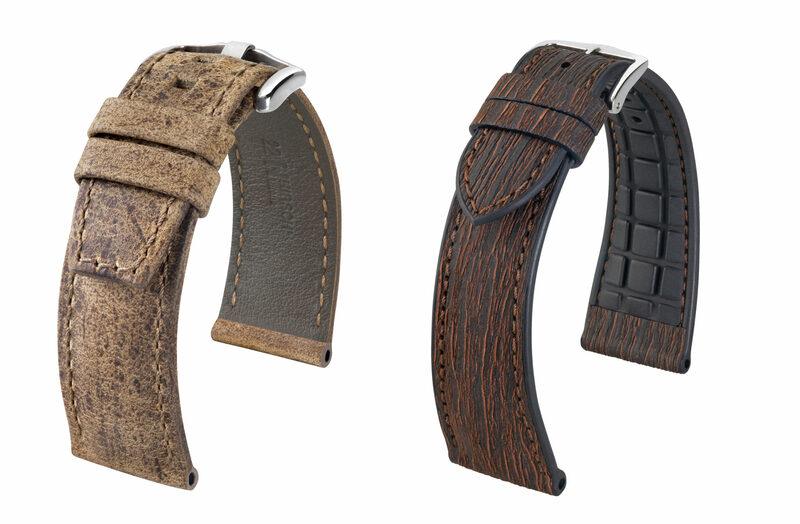 Hirsch is using sustainable materials like eucalyptus in its latest straps. Of course the greatest opportunity comes after the sale of the original watch. 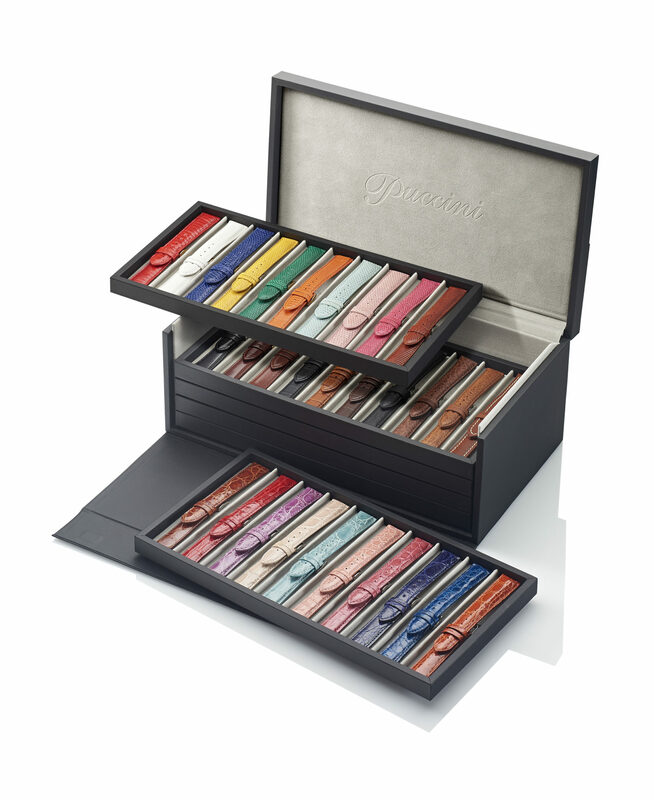 Stocking a great range of watch straps and bracelets gives retailers the chance to keep a customer happy over many years as they repair and refresh their favourite timepieces. “The jeweller can actively present himself as a service provider when offering bracelet-exchanges,” suggests Ms Nicolelli-Fulgenzi-Laßnig. Agreeing with LBS’s Mr Morris, she also points out that customers will be much more likely to come into a shop for a new strap than they would be to buy it online where they can’t try it on and would have to fit it themselves. Once the customer is in front of the jeweller, the conversation can start about what watches they have always dreamt of owning, or even whether the customer’s partner might have an upcoming birthday, anniversary or wedding that might require a jewellery purchase. 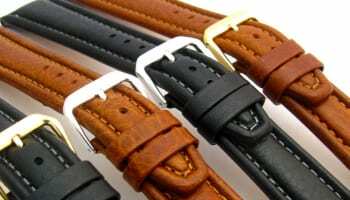 The watch strap, in this way, can be the starting point for an even bigger sale. To keep customers coming back, watch strap manufacturers have moved with the times and developed products that fit current fashion trends. Hirsch, for example, is tapping into the growing focus on the environment with its Bark range, which replaces the leather upper of the strap with eucalyptus fibre, an entirely sustainable product. “It looks like bark which adds a very special, natural look to the bracelet, and what‘s more, the fibres are also lightfast and abrasion-resistant,” Ms Nicolelli-Fulgenzi-Laßnig says. Bournemouth-based Darlena, which has supplied several International Swiss brands for many years as well as supplying replacement straps, is also moving with the times. 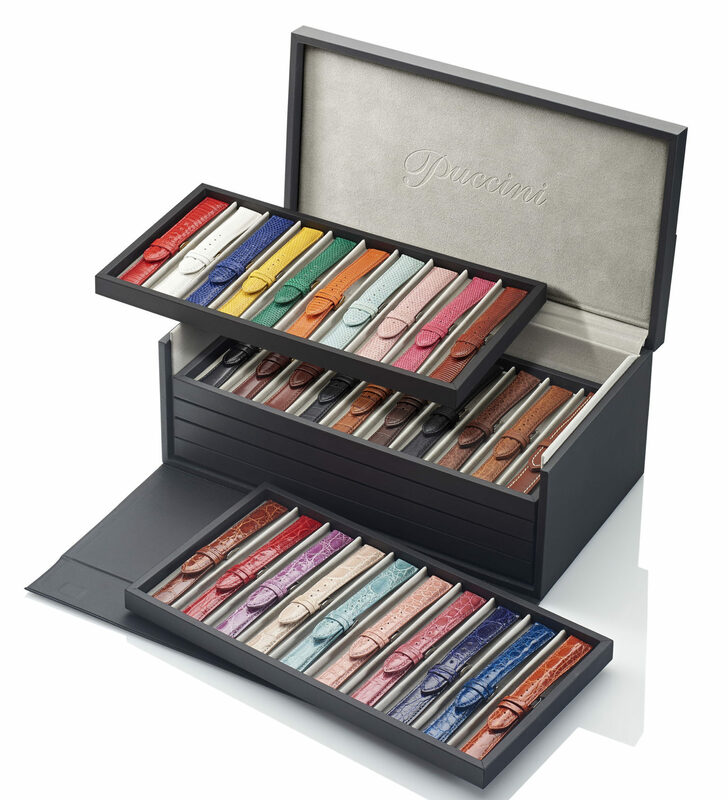 “A new strap or bracelet can transform the appearance of a timepiece for a minimum of cost. Furthermore, there is an absolute plethora of options to choose from such as styles, materials, colours and sizes,” says James Hook, director at Darlena. Asked for a quick trend forecast, Mr Hook suggests: “Nylon has been fashionable over the last few years and in particular NATO straps. This has been popularised by several mainstream brands launching new models with a NATO option. “From a replacement viewpoint, leather is very much the go-to style of choice. Especially over the spring and summer months where shorter sleeves draw the eye naturally towards the wrist. One trend that will be less welcome to the watch strap specialist is the rise of steel sports watches, which are most often worn on steel bracelets that rarely need replacing. “Bracelets, although not as popular as leather from a replacement angle, has been a big choice for several years, although this year has seen a rise in the sales of gold and particularly two-tone,” Mr Hook describes. 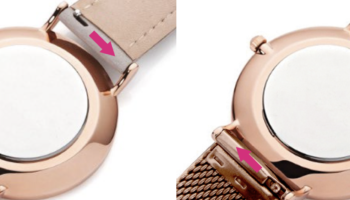 Many watch brands nowadays are providing their watches with ‘easy click’ spring features. Morellato is an Italian supplier that has embraced this trend and launched a complete collection of leather straps and Milanese mesh bands with the easy click spring bars. This comes with several key selling points: it speeds up sales in stores; gives the chance to customers to buy multiple straps; and gives end customers the possibility to change the straps by themselves using no tools. “It’s a consumer friendly approach, that allows also the chance to easily sell the easy-click straps online”, says Massimo Carraro, President of Morellato.